Drop in to the Art Gallery of Ballarat throughout Open House Ballarat for fun activities for all ages. Can you imagine life in the Ballarat goldfields? Or as a squatter on a Victorian sheep station in the 1800s? Or as an Indigenous Australian in colonial times? 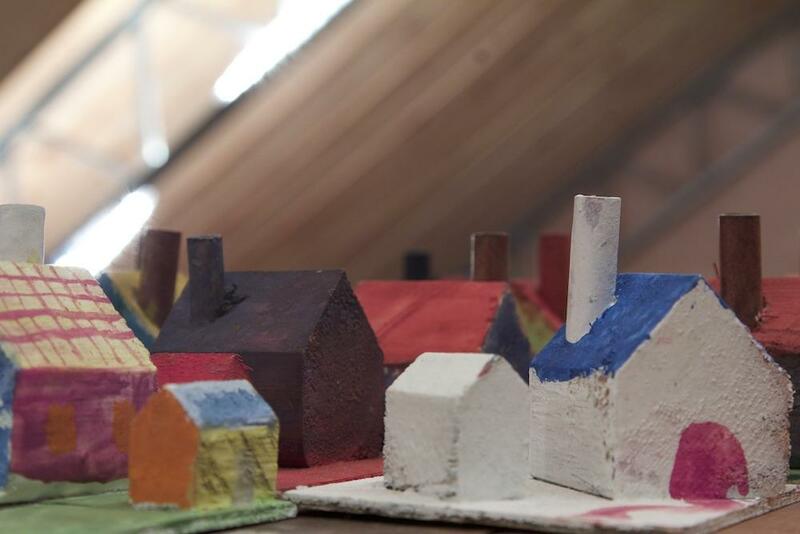 In this workshop you look at the depictions of settlements and buildings in the Art Gallery’s Eureka Collection, then use them as inspiration to create your own miniature wooden models of colonial housing from camps and tents to grand manors. In this workshop you are going to design and build your very own cluster of micro cabins, which will incorporate old a new design. You will be given pre engineered building shapes, and variety of recycled materials to transform with your imagination. You could designyour next holiday home, favourite streetscape, or redesign your existing block with extension and landscaping. Inspired by the beauty, colour and design of architect/artists Friedensreich Hundertwasser and Antonio Gaudi and the Austrian Secessionist artists, local artist Pauline O’Shannessy-Dowling loves to create wondrous worlds, where the home takes centre stage. Where buildings, homes, high rises, shops and all manner of amazing architectural structures know no bounds. People of all ages are welcome to colour in the “Lydiard St” streetscape, or be inspired by the work of Pauline O’Shannessy-Dowling to design, draw and create a fantastic building or streetscape of their own.